I attended the South East regional meeting for Virtuoso at the Four Seasons Miami. Since it was such as short drive from home I decided to take along Will and Emma. They used this as a vacation while I worked. 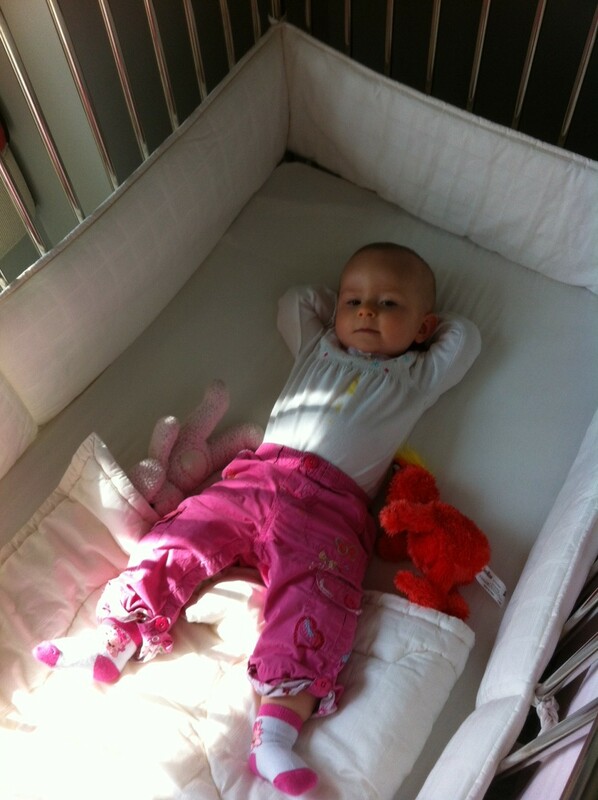 I received the occasional text with a picture of Emma lounging at the pool which put a smile on my face during meetings. The room as very comfortable and Emma had a nice duvet comforter in the crib along with her very own amenities. 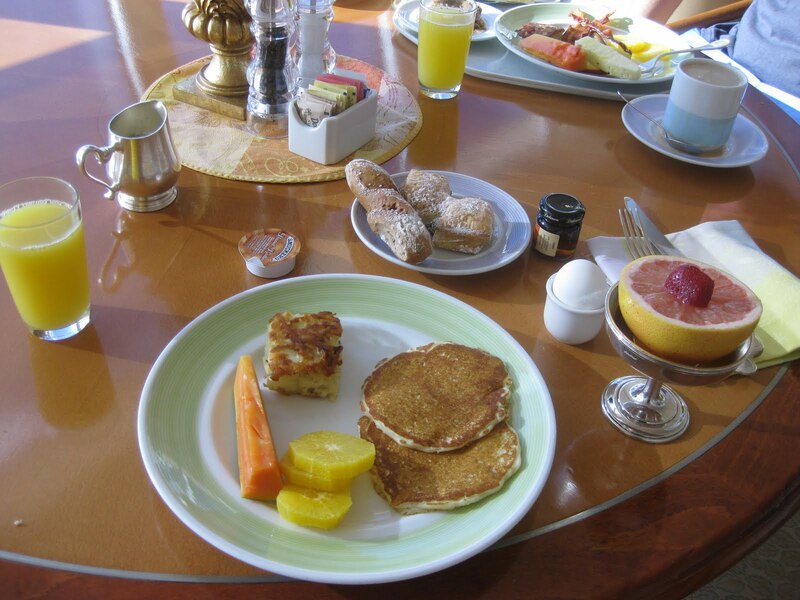 The Four Seasons had a resort pool where Will and Emma spent the day soaking up the sun and eating a light lunch. For dinner we took a short walk over to Perricones in Brickell and had a nice Italian meal. The area was safe and fun to walk around and Emma seemed to really enjoy herself as well. They saw we had a small child and got us a table immediately which was great as a one year old is not all that patient. For breakfast we went to Deli Lane and enjoyed it so much we went again the next day. It was a block from the hotel and they serve great inexpensive breakfast and lunches. The great thing about the Four Seasons is its only a short 5 minute walk from the cruise pier and if you don’t mind that its not on the beach I think its a great choice for both couples and families who need a pre hotel stay. If you book the Four Seasons through me you will get the following extra perks! 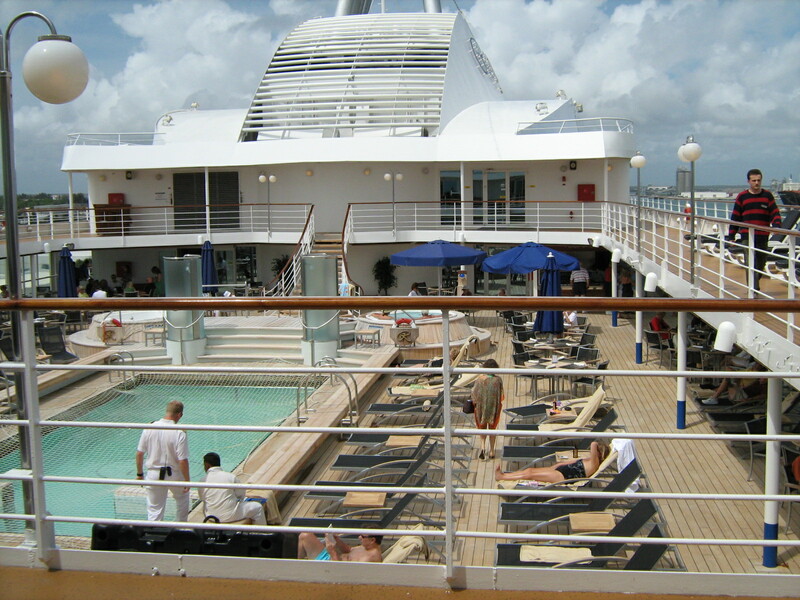 Last Monday Will and I disembarked in Miami off the best cruise we have ever experienced! 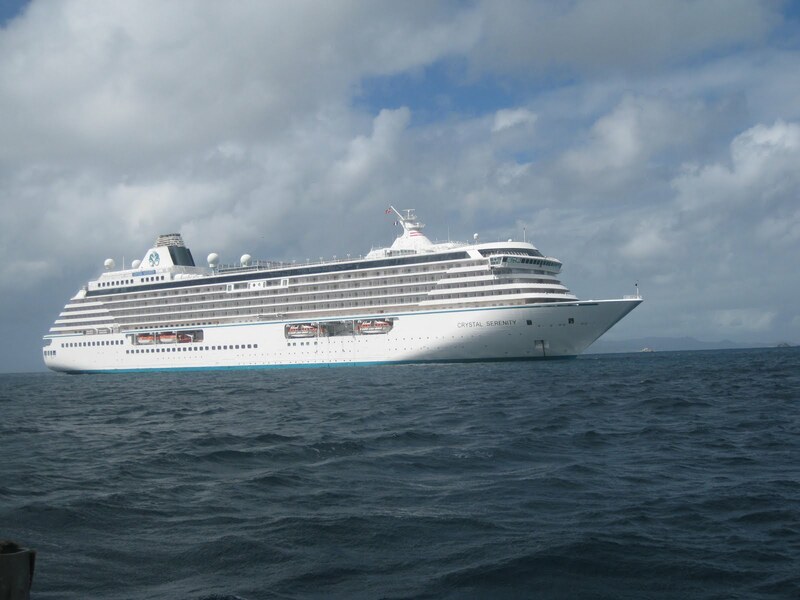 We were on a week long Caribbean cruise on the Crystal Serenity. Normally I would do a day by day review of our experience but I thought I would do this blog a little differently. 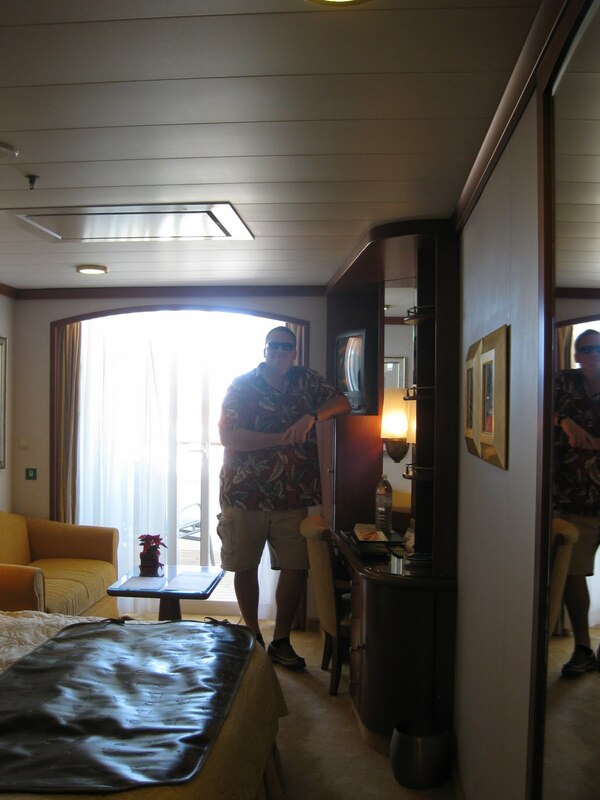 Since I experienced so many unique differences on my Crystal cruise from all the other cruises I have been on, I thought I would make a list of all of my favorite things about the Serenity. 1. We were greeted by a crew member who took my backpack and escorted us to our cabin. Not only were we personally escorted to our cabin but he also mentioned that he worked at the pool. From than on every time we went to the pool we were greeted by Robert by our last names. This may have been the first time that a crew member remembered our names but not the last. We truly felt like part of the Crystal family our entire time on board. 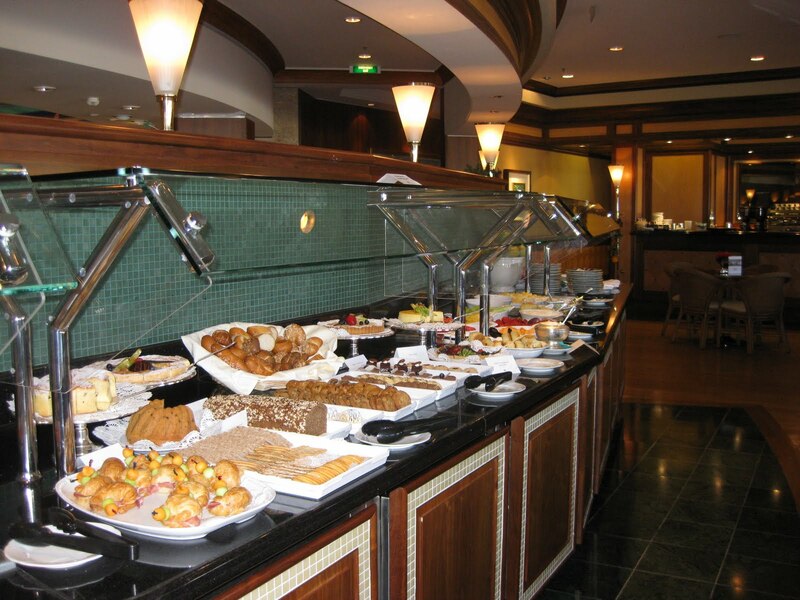 For example every day when we went to breakfast Clark was there to greet us and take my tray from me to carry it to my table. Than we were asked if we would like coffee and fresh squeezed Orange Juice. I personally like the half orange and half grapefruit and they were glad to accommodate me. When at dinner I liked the side of bok choy that Will had on his dish and I mentioned that to my waiter. He came back with a serving dish of bok choy for me. I was told that from then on if I wanted to swap out side dishes or make special request to please do so. 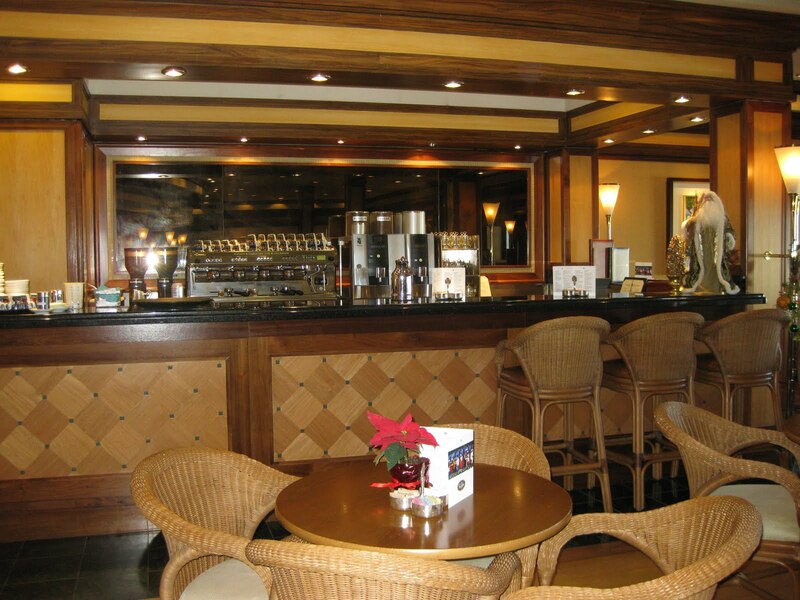 We went to the Bistro for our complimentary latte and cappuccino one afternoon and they had set up a spread of cheeses, crackers, meats, scones and cream, and all sorts of deserts. What I loved most was the quality of cheeses that were offered! 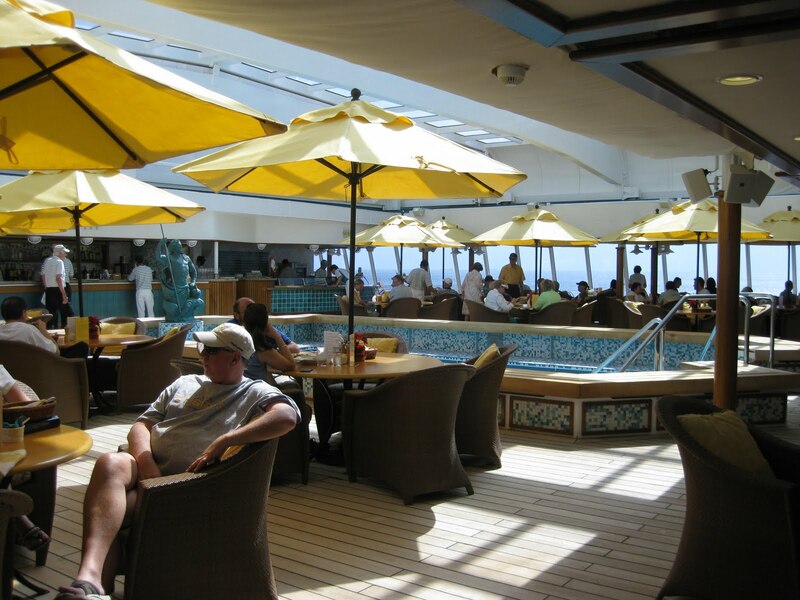 One of our favorite spots on the ship was the aft deck area. 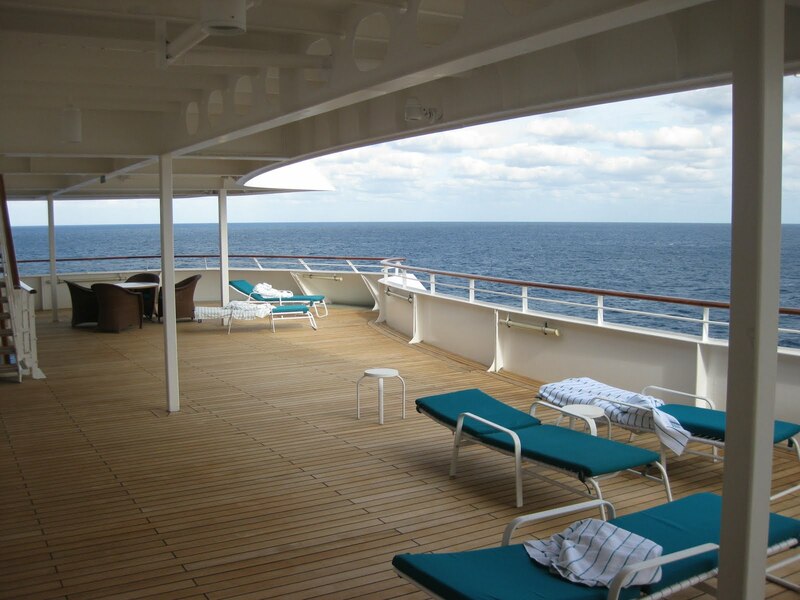 Our cabin was in the aft and was a short walk to a back patio area provided on each deck. There were deck chairs with area for shade or sun and a table with four or five chairs. This was a nice area where we could sun tan when we felt like more privacy. 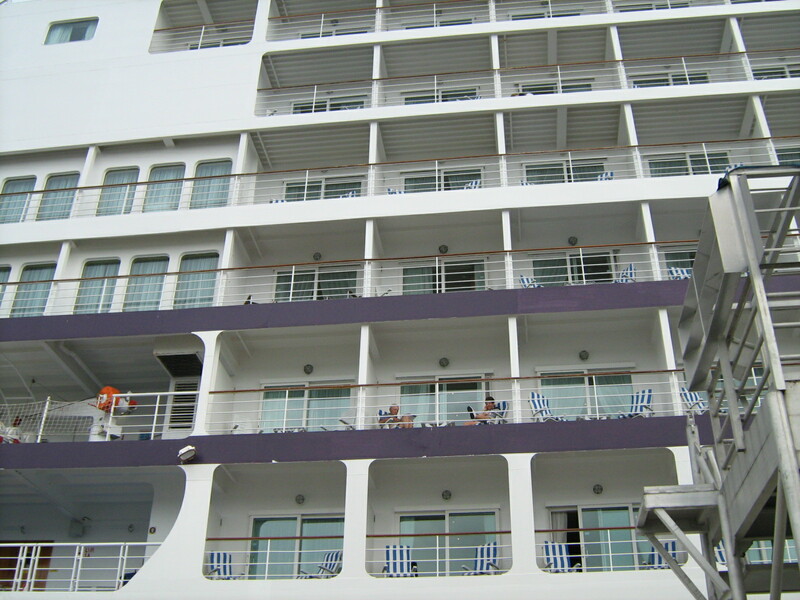 We also sat out there with our set of binoculars to watch ships passing by … or just to read a book. When I went to the gym I was able to cool off with a cold towel and bottled water provided for me. There was also both spring water and mineral water being offered. I always finished my workout with the complimentary use of the steam room in the women’s locker room and grabbed a mineral water. This was nice because I did not have to pass through the casino every time I needed to get somewhere on the ship. 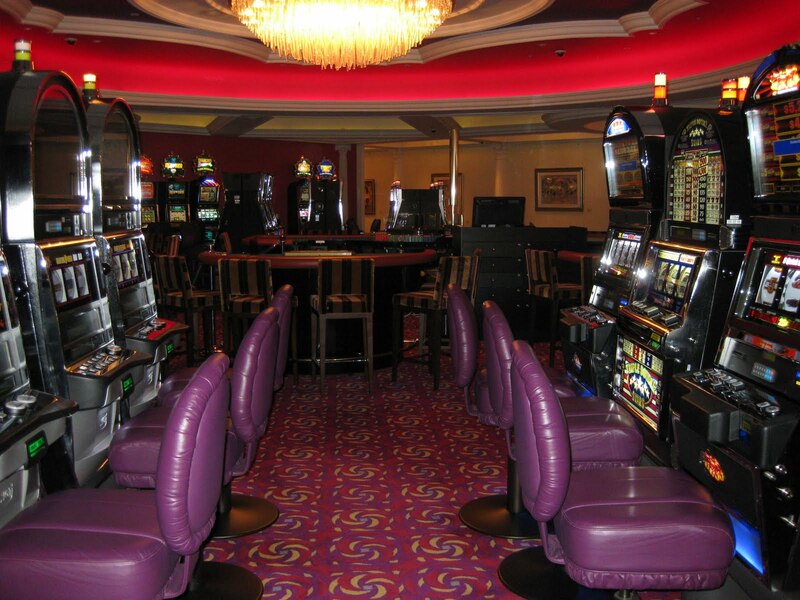 Plus if I was in the casino gambling we are offered complimentary drinks. My favorite ice cream flavor on the cruise was the green tea. Scoops was open almost all day and evening with complimentary ice cream. They had different flavors each day, and fresh waffle cones. One day we got ourselves and waffle cone and savored it while we watched a movie (500 Days of Summer) in their Hollywood Theater. Once we were seated we were offered a popcorn! I just love going to the movies! The couple in the row in front of us turned around and smiled at us and just simply said “Date Night”. I thought what a nice touch to have real silverware even when ordering from room service. For our last night we chose to order room service for dinner. 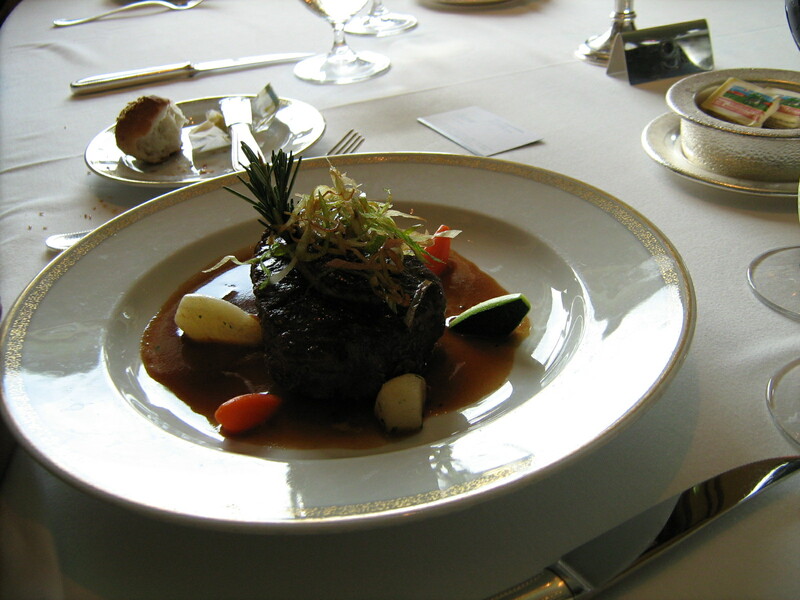 Our stewardess brought us the dinner menu from the main dining room where we selected what we would like to have for dinner. 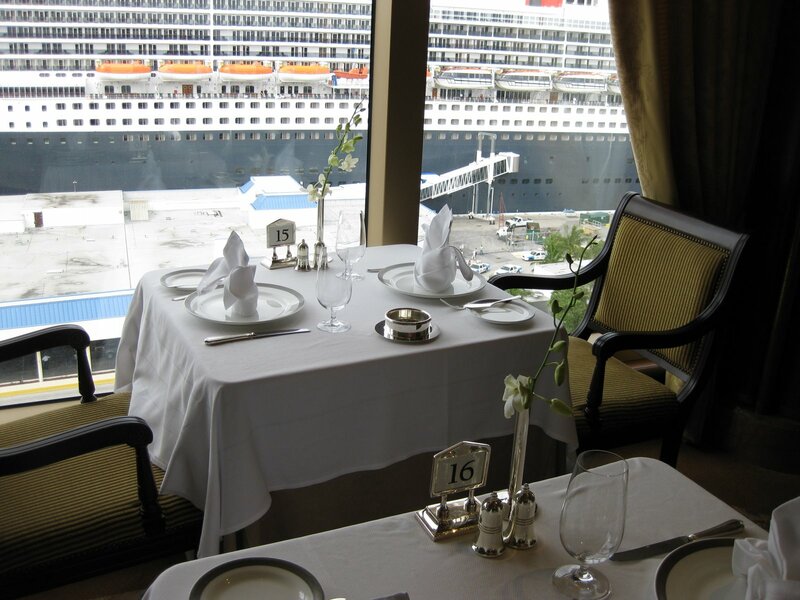 She set up our table with a tablecloth and we were served course by course in the privacy of our stateroom. If we chose to have room service for breakfast there was quite an extensive menu to choose from. 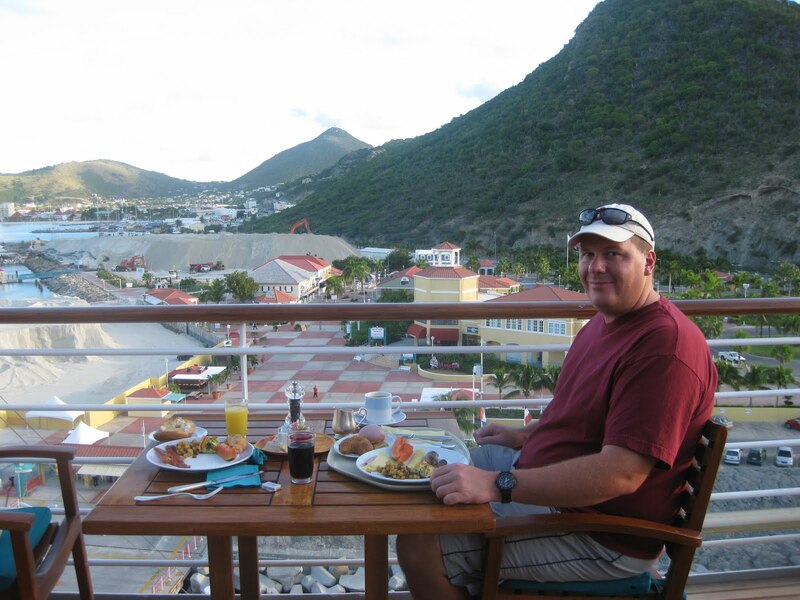 We opted out on this cruise as we loved dinning on the outside patio on the aft of the ship. 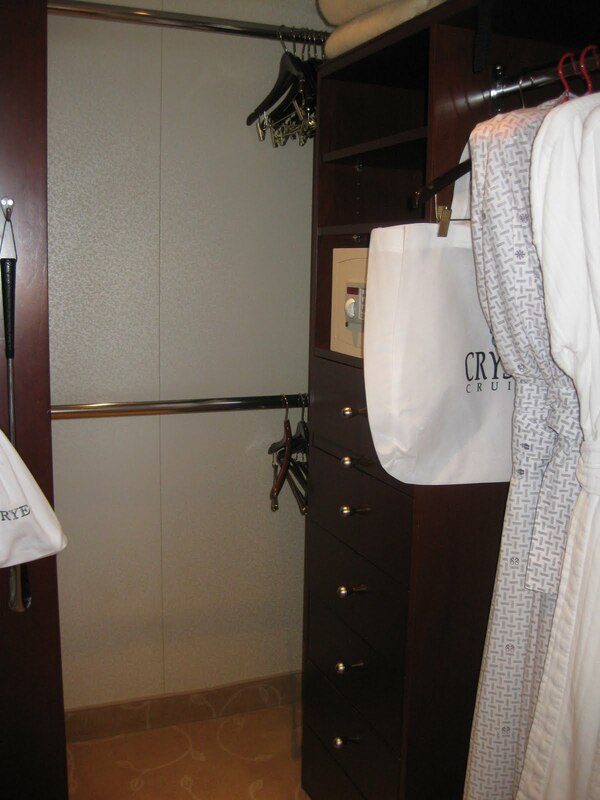 I was able to use the light kimono robe when I had just gotten back from the steam room or was drying my hair, and when I needed some extra warmth I put on the cozy Frette robe. Speaking of drying my hair they had both the drier on the bathroom wall and an extra drier in the vanity drawer so I didn’t have to crowd the bathroom to do my hair. 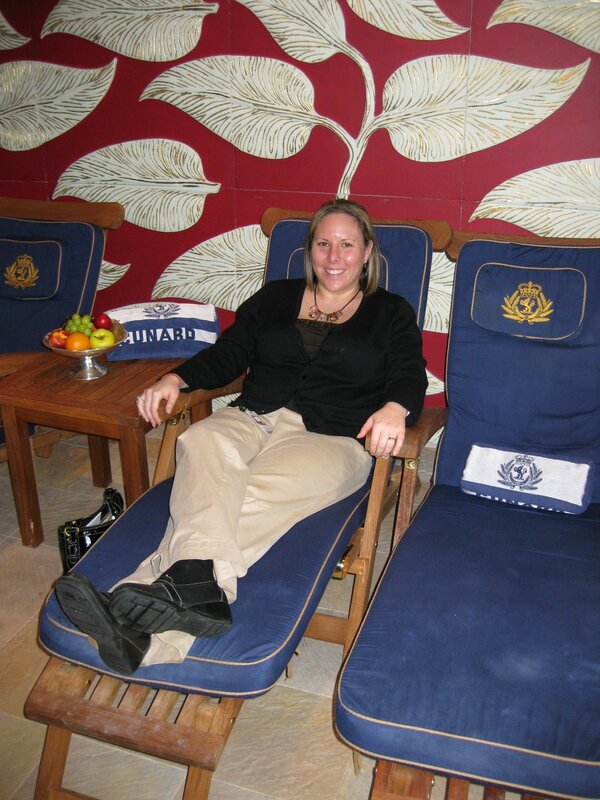 This was the first cruise where we truly had oversized plush towels. Love it! I walked in to notice Aveda products in bottles large enough to last the week. The shower head was an adjustable massaging shower head, which is nice in case I did not want to get my hair wet each time I got in the shower. 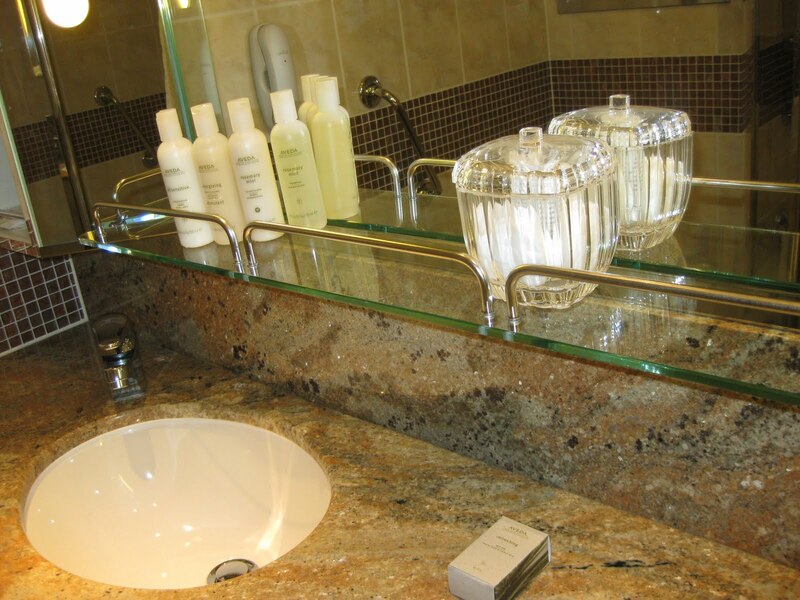 I also loved the dual sinks and room enough for us both to be in there at the same time. Will and I actually did our laundry twice on this cruise. We did it once in the middle of the week and again the day before we left so we could come home with all clean clothes. Anything that helps us when we come home to reality is much appreciated. I forgot to take a photo of that but I’m sure you get the idea. 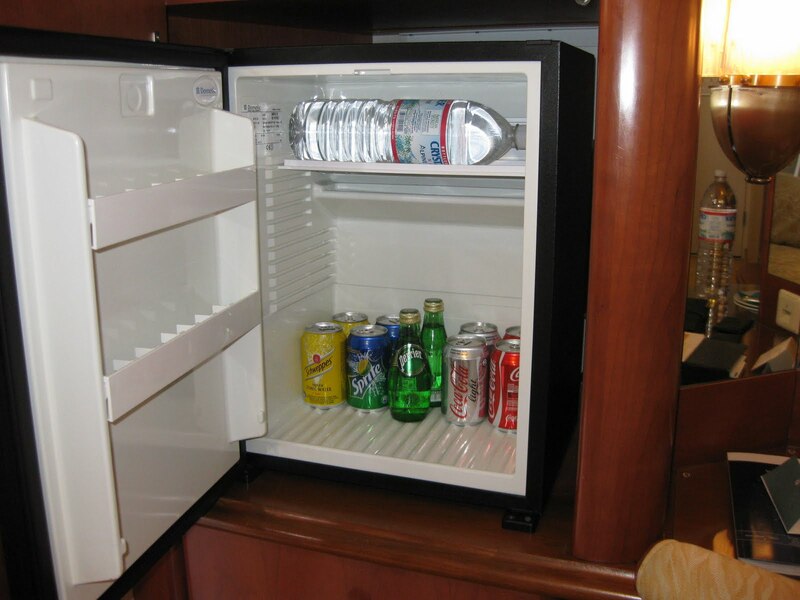 We just loved the fridge that magically refilled itself with our favorite drinks! Each day we found a full fridge of diet cokes for Will and Perrier for me. And to top it off they were all complimentary…do we see a pattern yet? COMPLIMENTARY…no signing my name all over the ship. How do you like the idea of getting up at 4am to put a towel on your pool chairs to be sure to have a chair when its time to get some sun? Yeah, me neither! 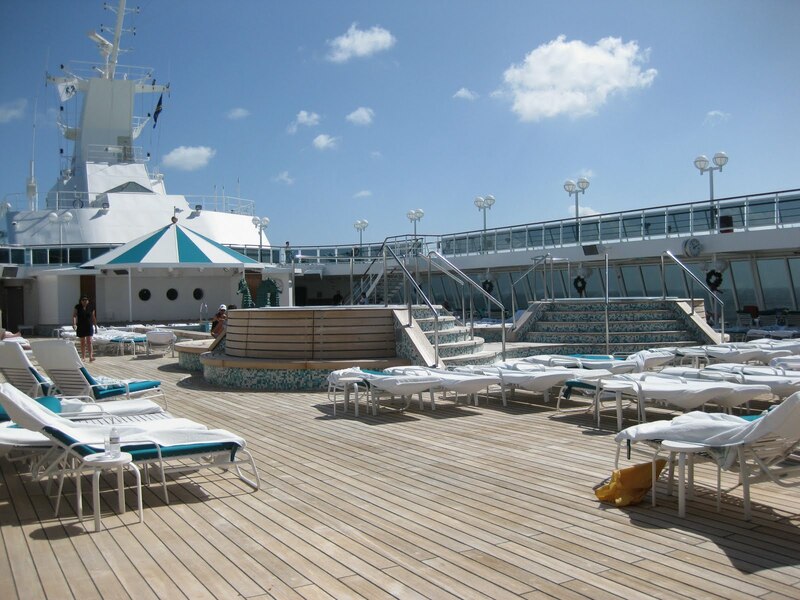 I noticed on our cruise that not only were their open seats by the pool each time I went to the pool, but our friend Robert was there to ask us if we prefer seats in the sun or the shade and had fresh towels laying on them for us. I think my favorite part of our dinner at Prego was the roasted garlic. That might sound silly considering I tried the mushroom soup which was amazing, and the butternut squash ravioli also to die for….but I cant remember the last time we went out for Italian and had that freshly roasted Garlic to spread on my breadsticks. I think we watched every sunset this week from our balcony. 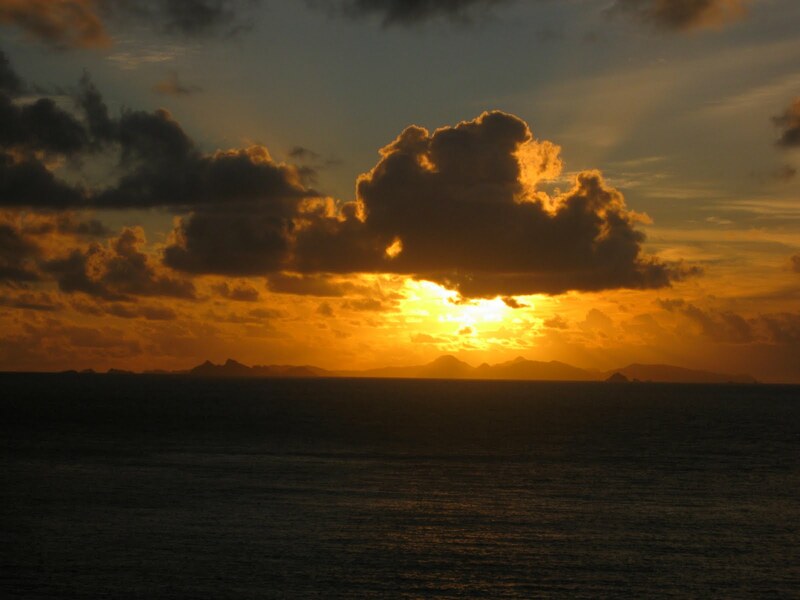 This was quite a fluke that the sun set on our side of the ship each night, and what a treat! Will even woke me up one morning to watch the most beautiful sunrise on our balcony. It will be difficult for me to pick just one picture as I must have hundreds! 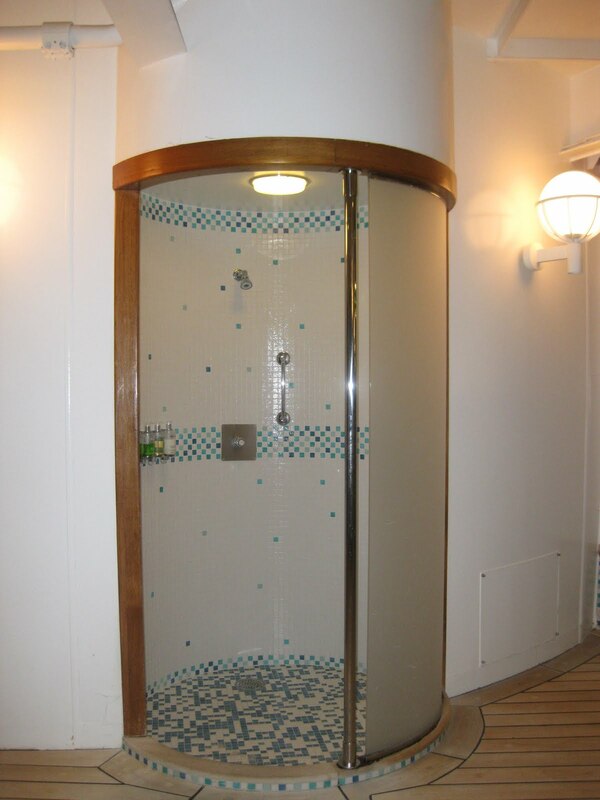 When we got back on the ship in St. Barts hot from the Caribbean sun we noticed a cooler full of cold towels. Details people….. I wanted to leave the best for last! 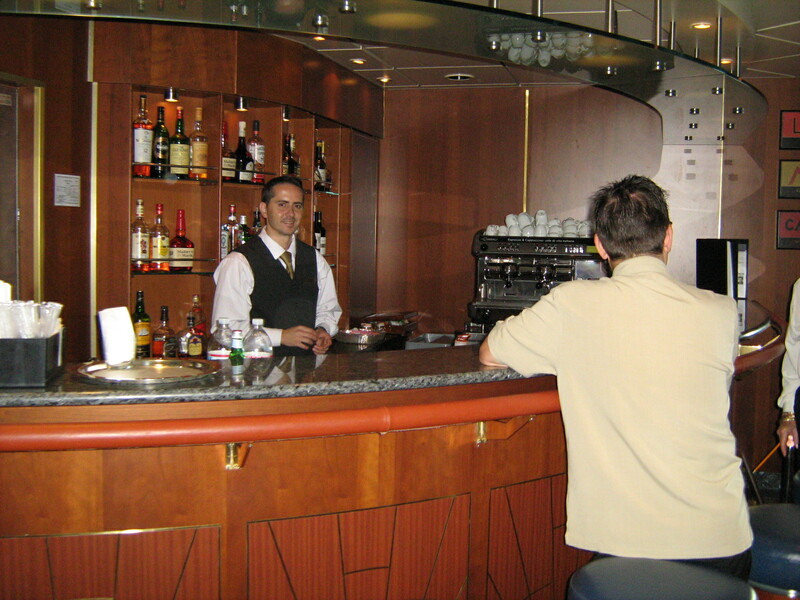 The crew on the Serenity adds something to the cruise that can not be calculated into the price. They are like a family and treat you as part of their family. 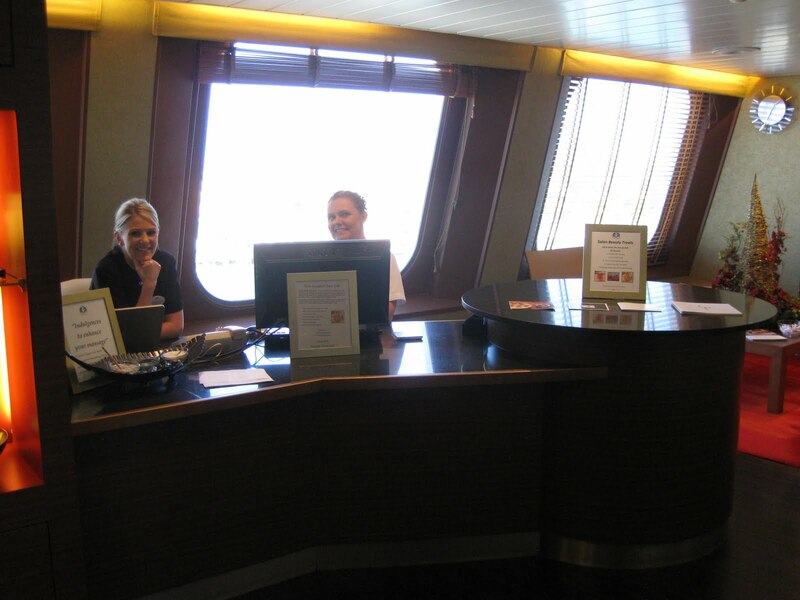 We felt genuinely welcome everywhere we went on the ship, and this was what made our experience so special. As I am writing this list, I keep coming up with more examples such as the Walk on Water program, sushi at Silk Road, and my excellent spa treatment. I don’t have room to write about everything we loved, you will just have to cruise on Crystal to experience it all for yourself. 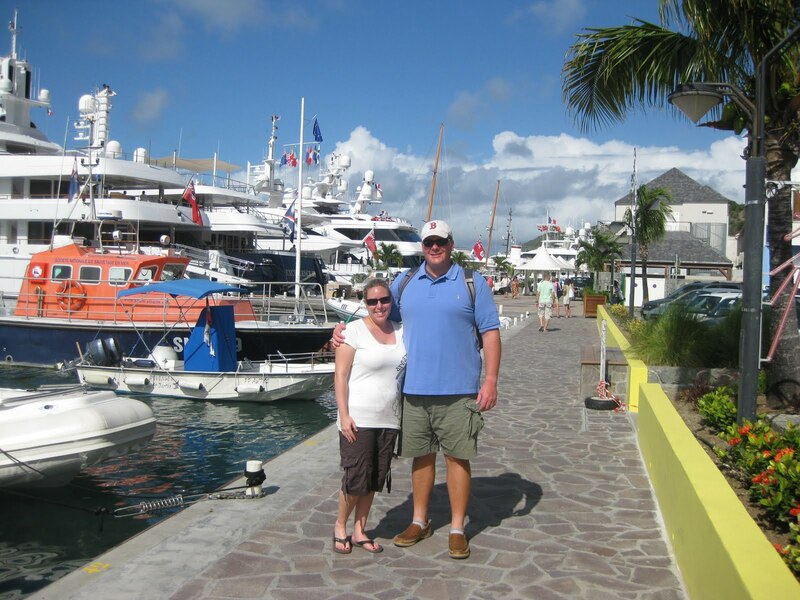 SeaDream Yacht Club on Travel Channel!! If you can’t make our client event next Thursday featuring SeaDream Yacht Club don’t miss Saturdays episode of Cruises we Love June 20th on the Travel Channel!!! 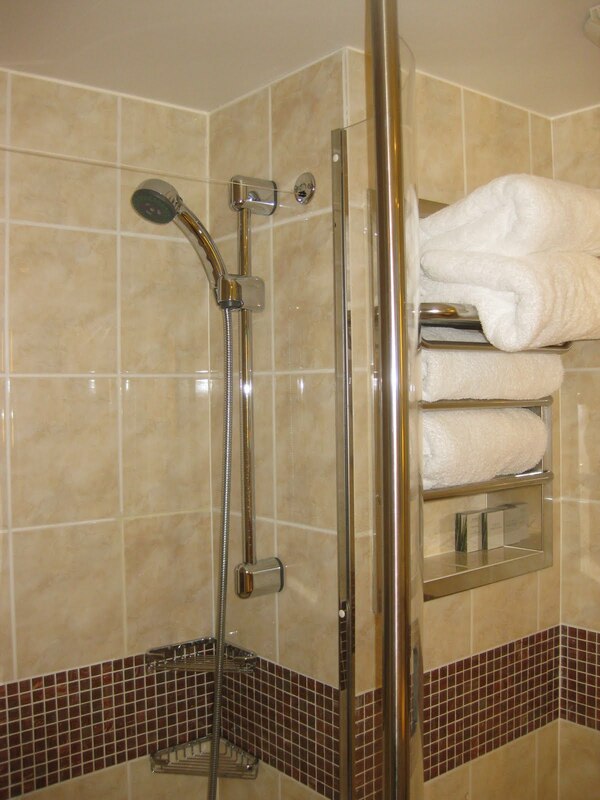 If you like what you see, call Jen Mitchell @ 800-865-8111 or email Jen@BettyMacleanTravel.com to make your reservations. 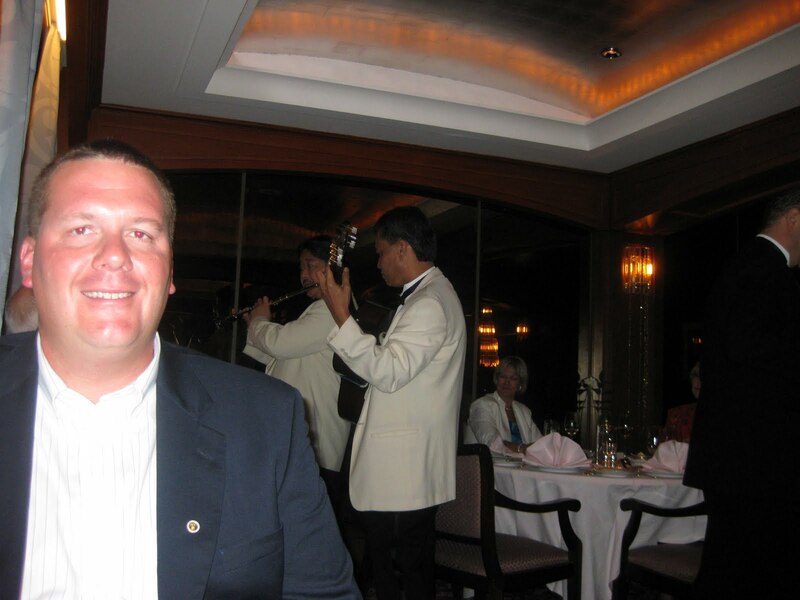 June 8, 2009 (Miami) – The Yachts of Seabourn is planning an intimate ceremony for the naming of the newest addition to its award-winning fleet: Seabourn Odyssey. The highly anticipated event, set for June 24, 2009, will take place on deck as the sun sets behind the unmistakable skyline of Venice, Italy. While naming ceremonies typically invite attendees to watch from shore as an honorary “godparent” names the vessel and breaks a bottle on its bow, the anointment of Seabourn Odyssey will be held on board with guests booked on the maiden voyage. Collectively, all of the guests will act as godparents, initiating the anointment with a bottle of Italian prosecco and giving the yacht its name. Each will receive a commemorative certificate from the event, and their names will be affixed to a plaque to be displayed on board. With Venice as the backdrop, the colorful heritage of the city will be a touchstone throughout the daylong event. Guests arriving at Stazione Marittima terminal will be given a red carpet welcome, complete with musicians playing and festive banners and garland. Once all are on board, Seabourn Odyssey will depart for a stately cruise down the Guidecca Canal to Riva dei Sette Martiri, a docking location near the Piazza San Marco, where it will be moored for the ceremony. 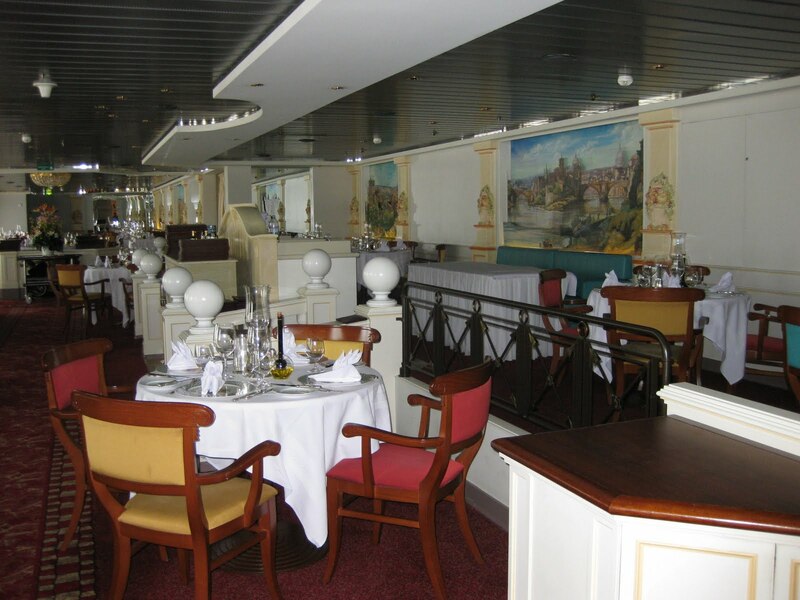 An early dinner served in Odyssey’s superb dining venues will precede the ceremony. With darkness set to fall in Venice after 9:00pm, guests will return to find the deck transformed and the sun gilding the domes and turrets of the city – an enticing view to be enhanced by ceremonial music. Though many details of the ceremony are being kept hush-hush, Seabourn has revealed that a magnum of sparkling prosecco spumante will be used to anoint Odyssey. The bottle will come from a vineyard in northeastern Italy, near where the vessel’s hull was crafted, and will be broken by means of an ingenious mechanism designed especially for the event. For more information or to make a reservation, contact Jen at Betty Maclean Travel at 1-800-865-8111 or Jen@BettyMacleanTravel.com. 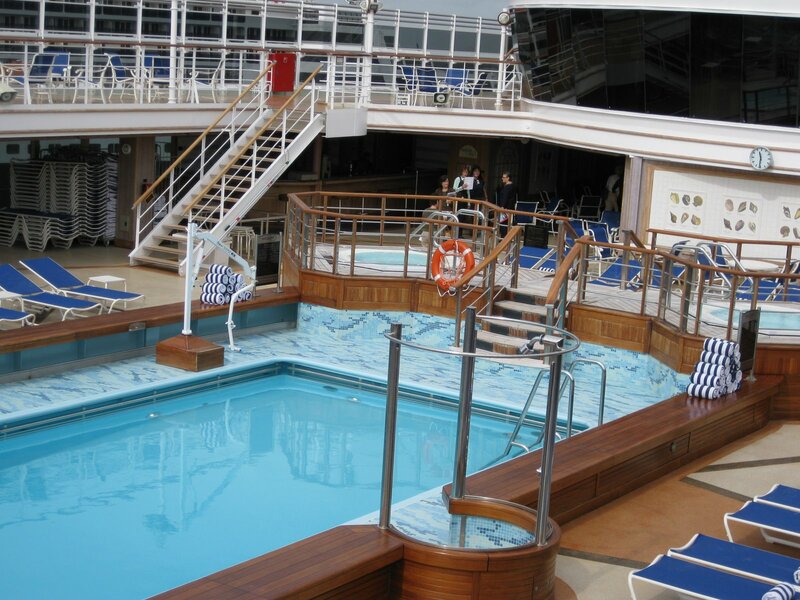 **Ask me about our Voyager Club sailings and the benifits that come with it FREE! When calling mention you heard about this on our Travel Blog!!! 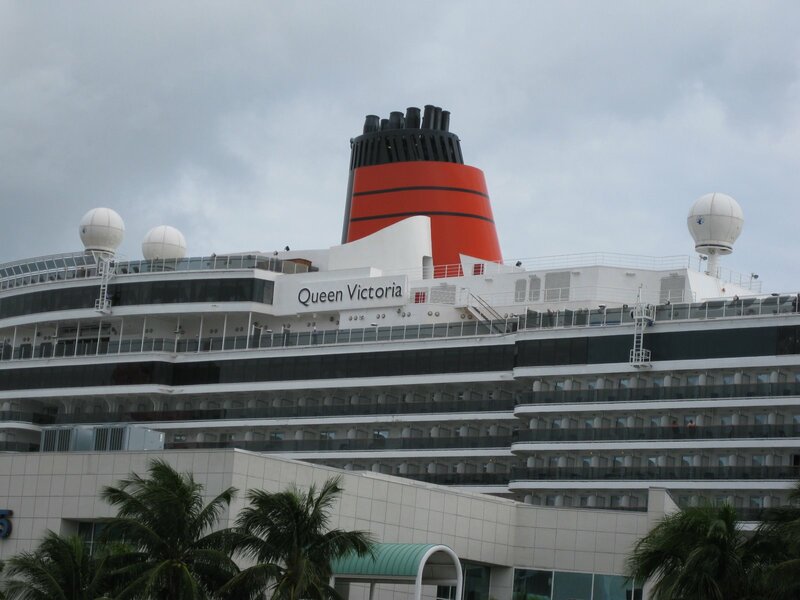 On January 13th I took a short drive to the other coast to go and visit Cunard’s Queen Victoria. 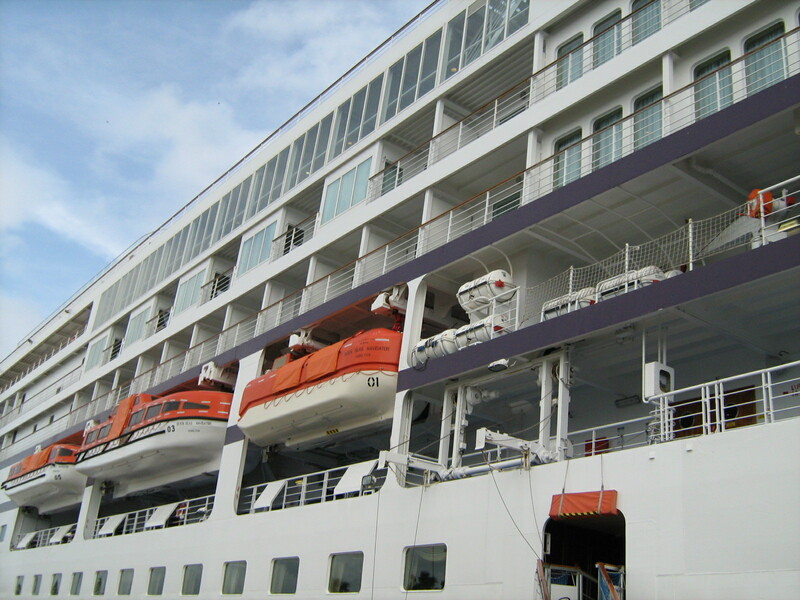 I was one of few agents who were taken aboard to tour the ship. This was the first day of the Queen Victoria’s second world cruise. It was quite the site seeing not only one but two queens docked across from one another. I took a few nice photos of the Queen Mary 2 from aboard the Victoria. As always I started my tour from top to bottom trying to get a picture of most all the public areas so I can pass on that information to my clients. 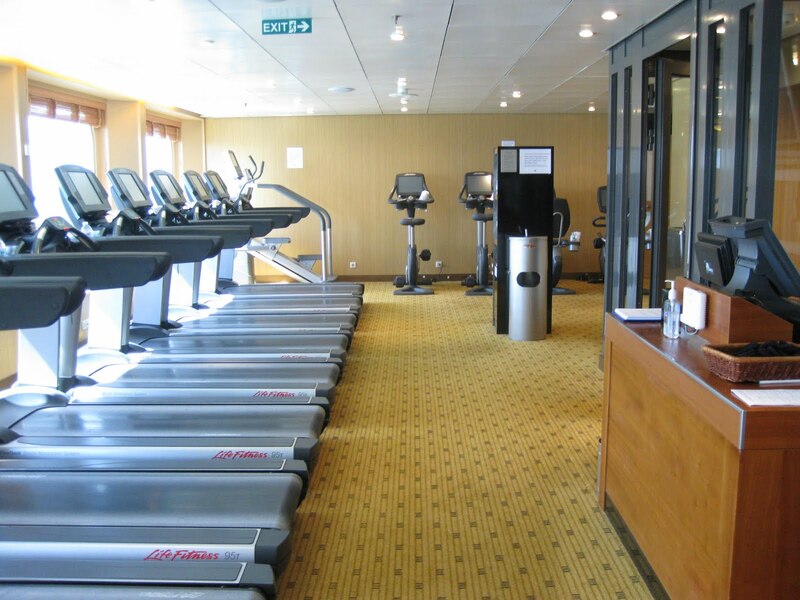 The Queen Victoria has restricted access to decks 11 and 12 which are exclusively for the use of Queens Grill passengers. If accessing this area by elevator guests will need to use their Queens Grill room key. We took a peek at their small and intimate Queens Grill dinning room and across the hall, their concierge lounge where a nice couple were relaxing sipping a cocktail upon their first day of their voyage. 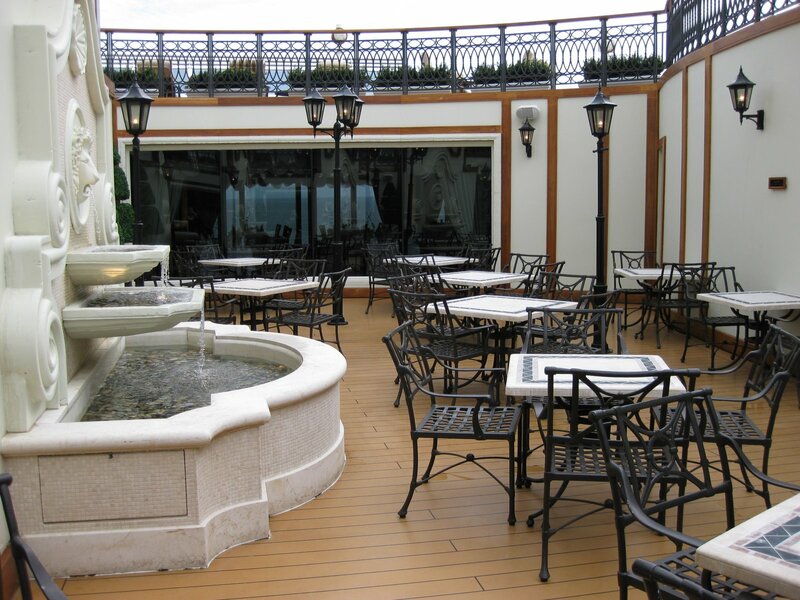 Than we went to the outside area which included The Courtyard, the Grills Terrace, and Upper Terrace. 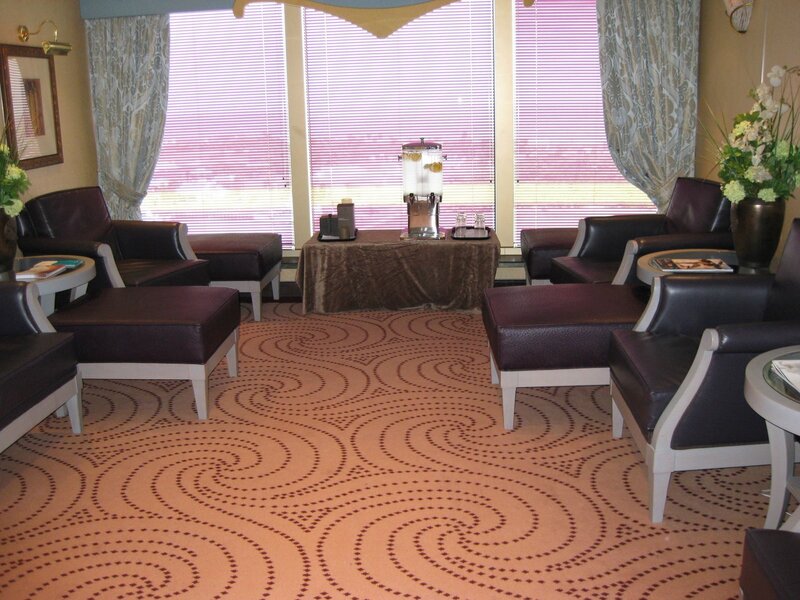 These areas were a great retreat for passengers who would like some privacy and quiet to read a good book or have an afternoon cocktail. My only complaint would have to be the faux wood decks. I myself do prefer the real wood giving it a warmer tone and more luxurious feel. The lounge chairs on the Terrace were comfortably lined and cushioned. Deck 9 took me through the Lido buffet, two pools and hot tubs, and a large area of the forward dedicated to the Canyon Ranch spa and fitness center. 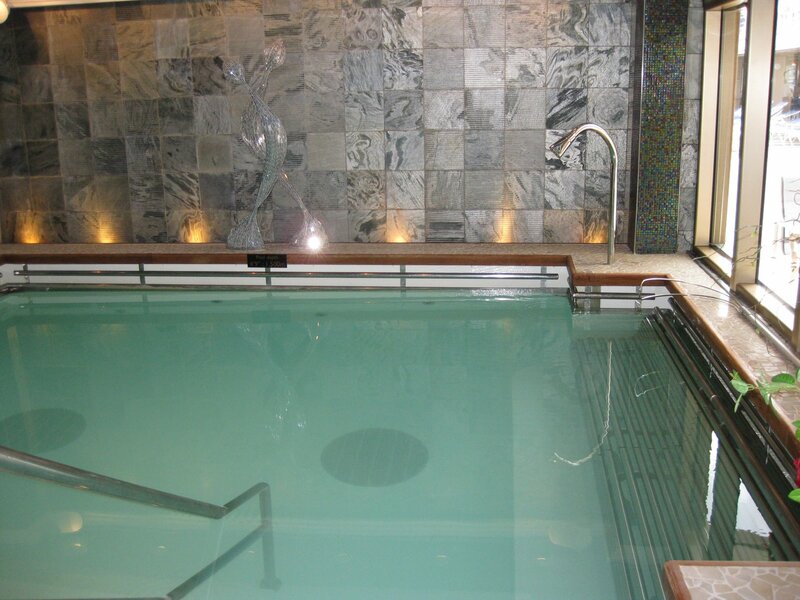 I was pleased with the spa sanctuary and the pleasant music piped in throughout. The aromatherapy was wonderful, I just love the smell of a the eucalyptus and lavender. The spa seems to puts me in a state of relaxation right as I enter the waiting room. 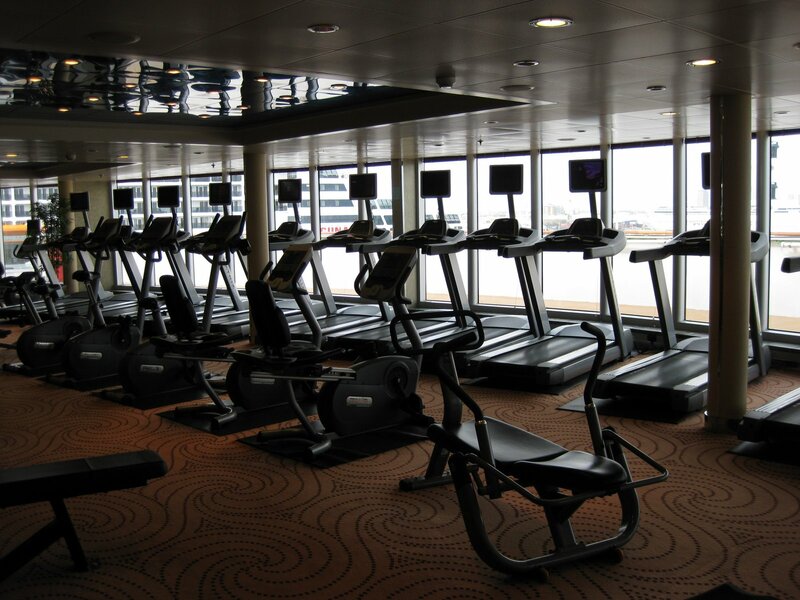 The fitness equipment was all new and up to date with the individual flat screens on the cardio machines. 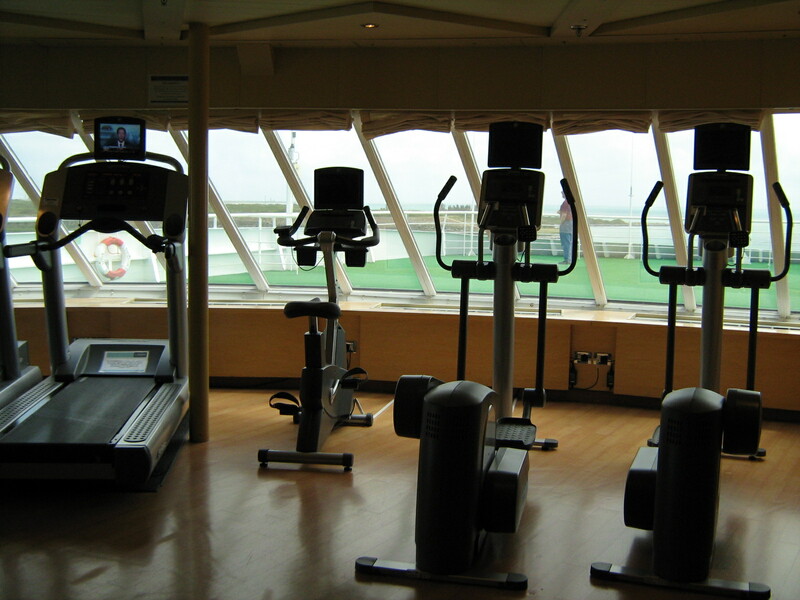 They had spin bikes as well as room for a variety of aerobics classes. 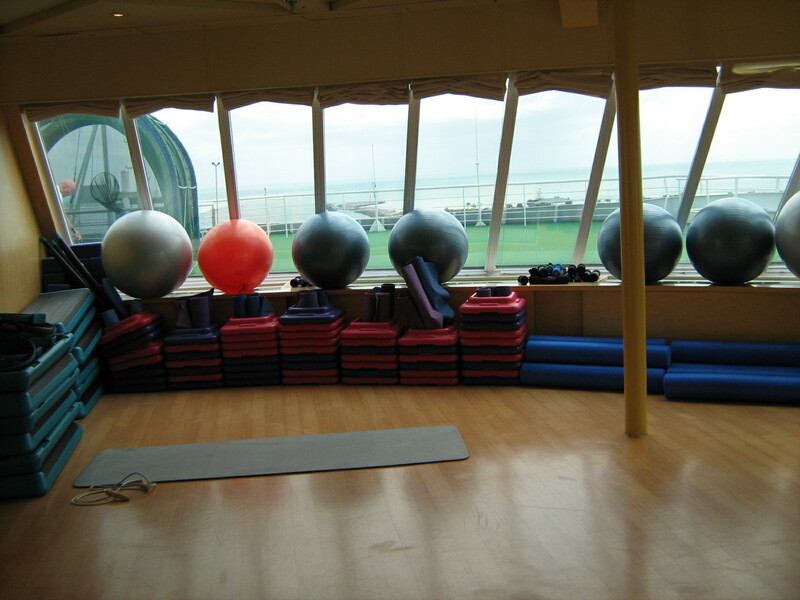 The sign up sheets that appeared to be most popular were Pilates, Yoga and Body Tone classes. They also had my favorite class onboard! ZUMBA! If you are a fan of salsa music and dancing in general, this is a must try class for all levels of dancers. The key is to relax, have fun, and you don’t have to remember steps like some other classes (Step aerobics) Put me in a step class and I will be lost in a heartbeat and most of the time your’ll find me going in the wrong direction. Decks one through three were mostly the public areas of the ship centered around a gorgeous atrium. They had a large replica of Big Ben as a center piece, as shown below. 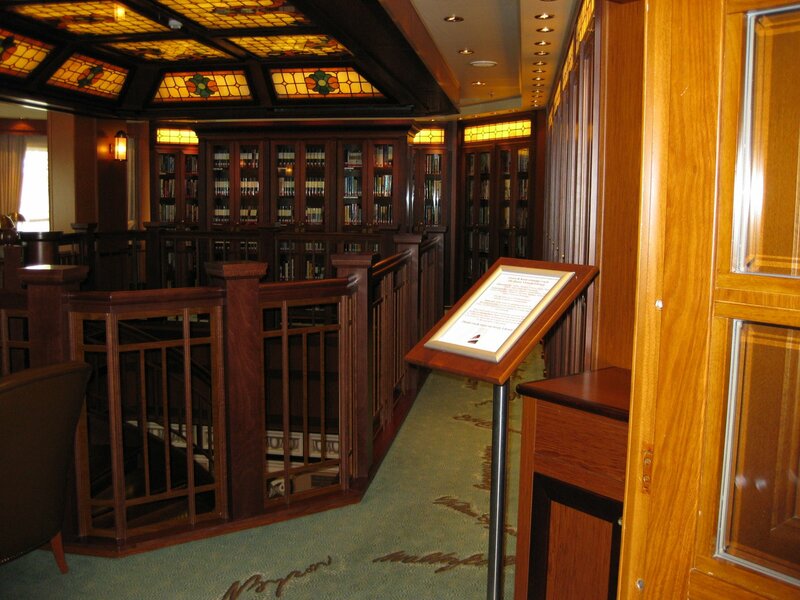 They had a very elegant two story library filled with all types of books and reference materials. There were also books to read up on the ports of call for the voyage. 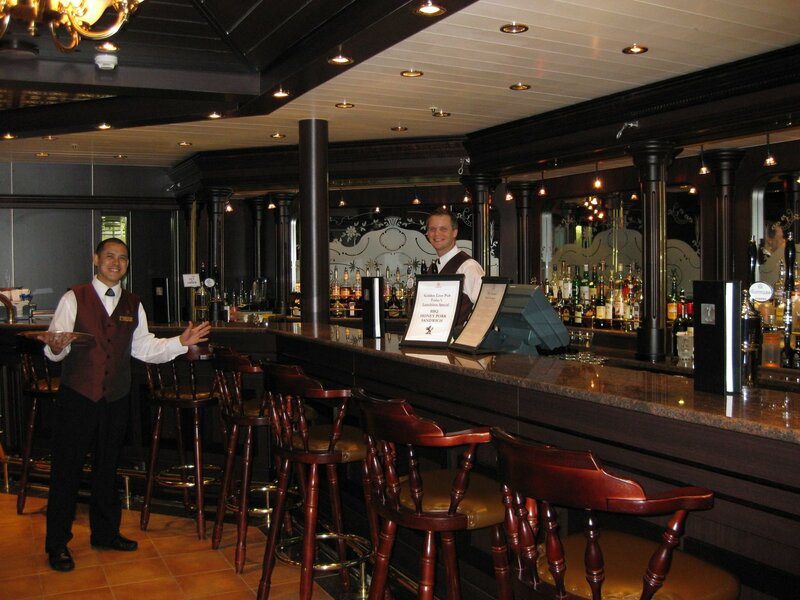 I passed a couple nice bars and lounges on my tour all staffed with friendly faces. The theater was quite a sight and the boxes were a very nice touch for those who want to make their evening at the theater extra special. The Golden Lion Pub was filled with happy patrons drinking their beer and watching sports on the large flat panel TVs placed throughout. 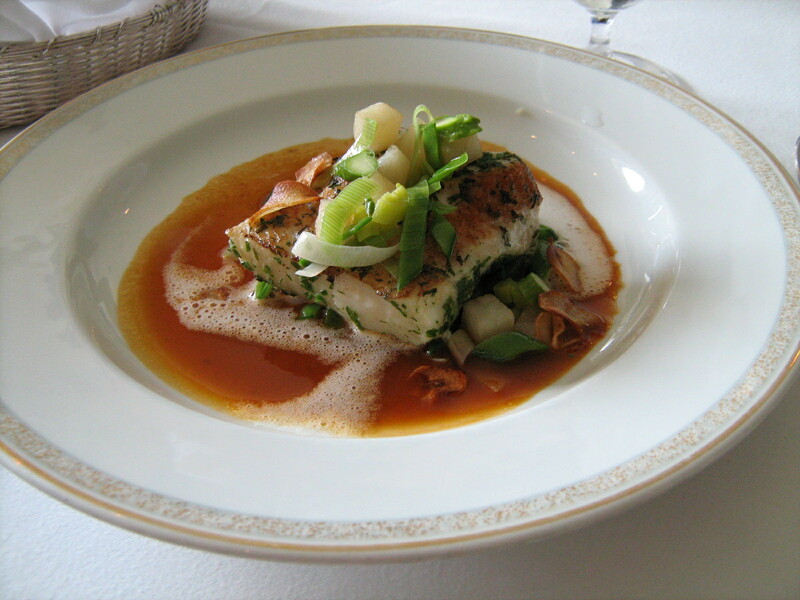 Todd English, their specialty restaurant was very nicely appointed and intimate for that special night out for dinner. 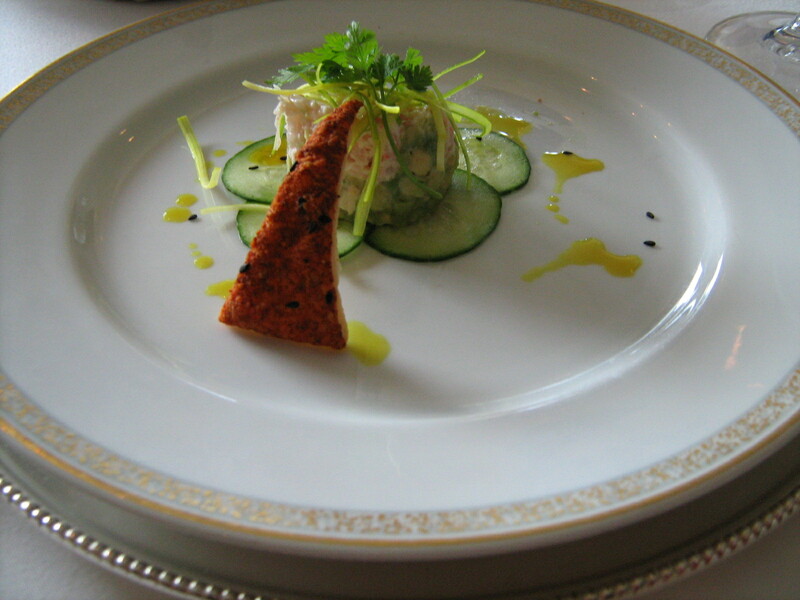 I was not able to sample to food but from what I hear it is fabulous. I would say those were the highlight of my day on the Queen Victoria and as always it was very sad to leave the ship as we passed those cruisers embarking on their first day of their World Voyage. I sometimes catch myself wondering how long it would take for them to notice a stow- away hiding out in the Library. Than I come to my senses.